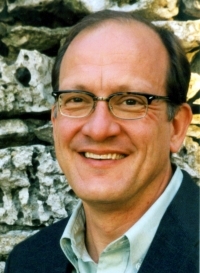 Luther K. Snow is a consultant, facilitator, author and speaker who helps groups of people take positive action for the public good. As the "Good Groups Guru," Luther has trained and facilitated over 25,000 people and hundreds of organizations in positive collaboration. Luther is best known as the creator and developer of Asset Mapping. Luther can help you as a powerful event presenter, as a dynamic group facilitator, as a strategic consultant, or all three -- see Core Services listed below. What makes Luther's work even more powerful and relevant to groups like yours is his 35 years expertise in an extraordinary range of Specialty Areas, Click on the Specialty section below, enjoy exploring some of the fascinating and cutting-edge approaches Luther has developed, and consider how this kind of expertise might strengthen you and your group. Then contact Luther and lets talk about how we can design a service that will work specifically for you. Thank you for your interest and your inquiry! Powerful presentations with practical take-home tools for your event participants. How to get your group going, and growing, in the right direction. Projects and plans that are energizing, practical, and fundable. How to bring out the good in your group. Positive Rural Development: Because We Love It Here! How to mobilize people to build on rural strengths and assets. Empowering Congregations: And All Were Fed. How to build ministry, people, funds, and spirit with the assets you already have. Smart Partnerships: More with Less! How institutions can really engage communities to get things done. How to develop exceptional enterprises for earned income and sustainable impact. How to connect institutional, community, and scholarly activities for the benefit of all. There's a quiet convergence happening around institutions of higher education. It goes beyond Service Learning, beyond Community Relations, and beyond traditional Institutional Development. It leads us to new approaches in research and learning, to effective new institutional structures, and to new development opportunities.